and save $500* with promo code MDCDC5. 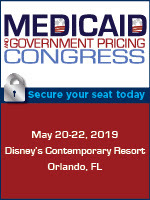 As our healthcare system proves to be more turbulent than ever, with a slew of regulatory and political announcements, hearings, the never-ending drug pricing debate, and most recently, FDA Commissioner Scott Gottlieb announcing his resignation and talks of doing away with rebates and/or PBMs, the time has never been more opportune to convene with industry colleagues at the 21st Annual Medicaid and GP Congress this Spring in Orlando. 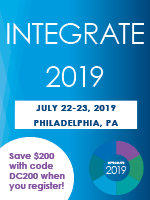 The 2019 agenda boasts 55+ speakers, 30+ customizable sessions and 7 hours of dedicated networking time. 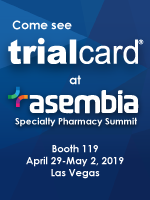 Bio/pharma, regulatory and government experts representing Johnson & Johnson, OIG, Sunovion, Pfizer, Ingenus, Chiesi, AstraZeneca, Amneal, Hikma, CMS, Bristol-Myers Squibb, Apotex, Fresenius Medical Care, UCB, Alvogen, PhRMA, Jazz Pharmaceuticals, Insmed, Arbor Pharmaceuticals, Eisai, Goldwater Institute, Amicus Therapeutics and many others are set to drive the dialogue. And many other critical topics. Download the complete agenda. *Discount offer valid through 4/5/2019; applies to standard rates only and may not be combined with other offers, categories, promotions or applied to an existing registration. Offer not valid on workshop-only or non-profit registrations.